Abstract - Schmitt trigger is an electronic circuit,which acts as a comparator ,that is used to detect a given reference level.It has two stable states logic 1,logic 0.Whenever the input is sine,triangle,or any periodic waveform the output of the schmitt trigger come out to be a rectangular or square wave form which has sharp edges.The advantage of the schmitt trigger is the desirable rise and fall times for all digital circuits.In this project,the design and implementation of schmitt trigger using 555timer is implemented. The schmitt trigger is called as squaring circuit,as it convert any shape of input waveform to a square wave.The output voltage changes its state everytime when the input voltage crosses the threshold voltage.The input voltage at which the output switches from +Vsat to -Vsat is called the upper triggering point or upper trip point(U.T.P),in the sameway the input voltage at which output switches from -Vsat to +Vsat is called lower triggering point or lower trip point(L.T.P). The difference between U.T.P and L.T.P is known as hysterisis voltage(Vh) and is also called as deadzone of schmitt trigger.In other words hysteresis is also defined as lagging of the lower threshold voltage from the upper threshold voltage.If Vh is large,then the circuit would never reset itself, once it has responded to a transition. 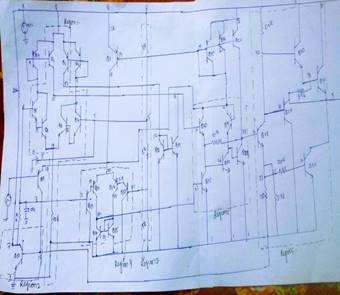 The rest of the project consists of following sections:section II decsribes schmitt trigger overview,section III focuses on the system design,results and discussions are reported in section IV. The following circuit shows the structure of 555 timer used as schmitt trigger. Pins 4 and 8 are connected to the supply (Vcc).The pins 2 and 6 are shorted and input is given to this common point through the capacitor.This common point is supplied with an external bias voltage Vcc/2 with the help of voltage divider circuit formed by resistors R1 and R2. The output retains its values when the input is between the two threshold values is called Hysterisis and the Schmitt trigger acts as a memory element. The threshold values in this case are 2/3Vcc and 1/3Vcc,i.e.the upper comparator trips at 2/3Vcc and the lower comparator trips at 1/3Vcc.The input voltage is compared to this threshold values by the individual comparators and the flipflop is set or reset accordingly.Based on this the output becomes high or low. 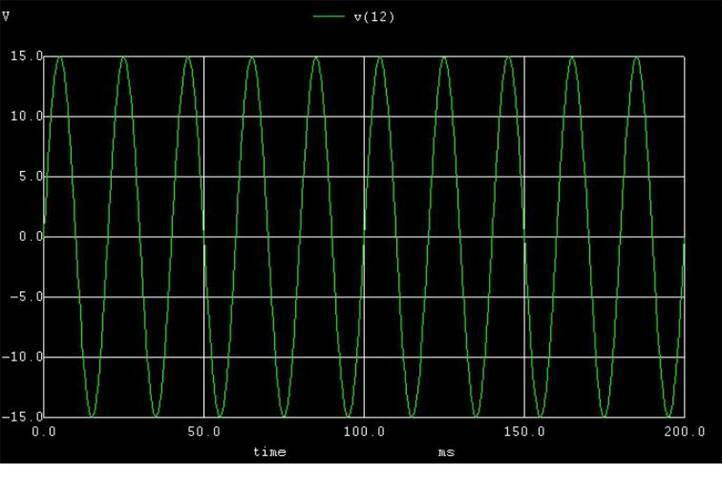 Consider an example:When a sinewave of amplitude greater than Vcc/6 is applied at the input the flipflop is set and reset alternately for the positive cycle and the negative cycle.The output is a square wave and the waveforms for input sinewave are shown below. This system is designed using 555 timer IC.A 555 timer is an integrated circuit used in variety of timer,pulse generation and oscillator application.It is used to provide time delays,as an oscillator and as a flipflop element. When the trigger voltage goes below 1/3Vcc (its reference voltage)the comparator sets the flipflop,which pulls the output high and turns off the discharge.when the threshold swings higher than 2/3Vcc(its reference voltage) the comparator resets the flipflop,which pulls the output low and turns discharge on. 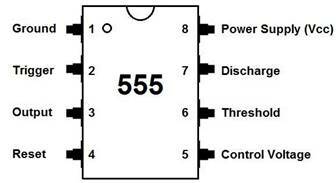 This basic operation allows 555 timer to operate in various phase with different modes. The internal block diagram and schematic of 555 timer are highlighted with some colour to clarify how the chip is implemented. RegionIII: Between the positive supply voltage Vcc and ground, a voltage divider consisting of 3 identical register which create two reference voltages at 1/3Vcc and 2/3 Vcc.All three resistors have same resistance of 5kohm. Region I: The comparator negative input is connected to high reference voltage divider of 2/3Vcc and comparator positive input to threshold pin. RegionIV: This region stores the state of the timer and is controlled by two comparators. RegionVI: This region is a stage with push-pull output driver that can load the output pin with upto 200mA. RegionII: This region turns on the transistor that connects the discharge pin to ground. RegionIV: The comparator positive input is connected to the lower reference voltage divider of 1/3Vcc and the comparator negative input is connected to the trigger pin. TRIGGER: When the voltage at this pin falls below Â½ of control pin voltage(1/3Vcc),the output pin goes high and a timing interval starts.As long as this pin continued to be kept at low voltage,the output will remain high. 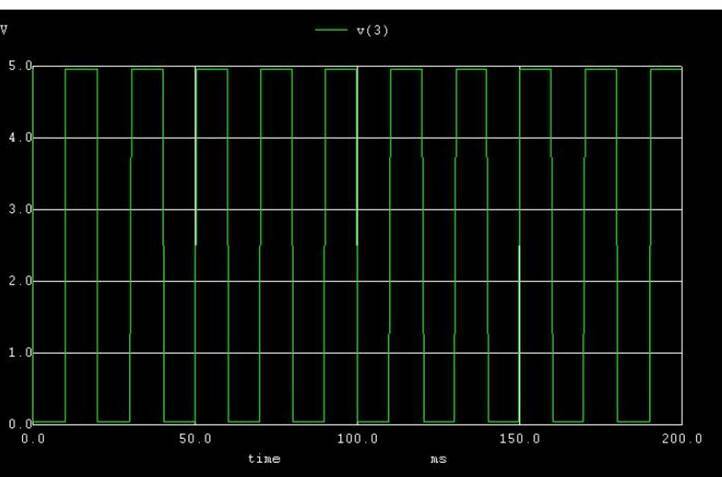 A timing interval may be reset by driving this pin to ground.But the timing does not begin again until this pin rises above 0.7V. This pin provides control access to the internal voltage divider.By applying a voltage to the control voltage input,one can alter the timing characteristics of the device.In most application this pin is not used,thus at 10nF decoupling capacitor is connected. When the voltage at this pin is greater than voltage at control voltage then the timing interval ends. 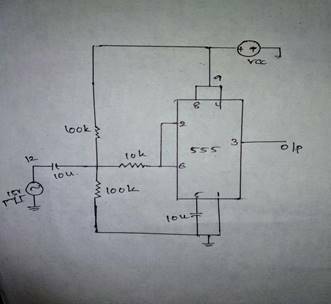 This is an open collector output which can be used to discharge a capacitor between intervals. It is typically 4.5V to 5V.